corporation organized in Oregon as a public benefit nonprofit. corporation organized in another state as a nonprofit which solicits, holds assets or does business in Oregon. trust which holds assets in Oregon for charitable beneficiaries. an association organized for charitable purposes. church, house of worship or similar type of religious organization. corporation organized in Oregon as a mutual benefit nonprofit. an educational institution which does not hold property in Oregon and limits solicitations to alumni of the institution. For more information, consult the statutes and rules governing Oregon nonprofits. Download and complete one of the registration forms listed below. The forms are set up with fill-in-the-blank fields to make them easy to complete. (If you are an association, use the form for corporations). Mail or email the completed form and requested attachments to the address listed on the form. 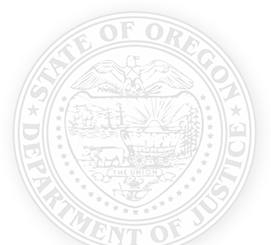 If you are not sure if you need to register with the Oregon DOJ, please call us at 971-673-1880.